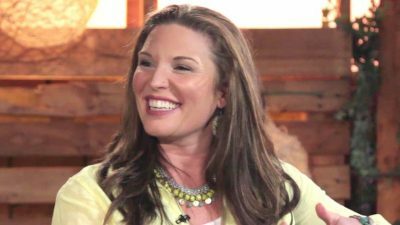 Fans of Jen Hatmaker may not realize that she follows the same basic playbook used by former megachurch pastor and Oprah Winfrey pal Rob Bell and other progressive “Christians.” According to Michael J. Kruger, professor of Reformed Theological Seminary, the details may be different, but the overall point is the same. Berean Research has posted numerous articles to show that even though they profess to be evangelicals, both Jen and her husband Brandon are firmly ensconced in the Religious Left. In other words, they’re progressives. As you’re about to see, Jen rejects the inerrancy of Scripture. A few years ago the Hatmakers came out in support of the LGBTQ community and in doing so the couple made it clear that they deny the biblical teaching on marriage, sexuality and family. De-conversion stories are designed not to reach non-Christians but to reach Christians. And their purpose is to convince them that their crusty, backwards, outdated, naïve beliefs are no longer worthy of their assent. Whether done privately or publicly, this is when a person simply gives their testimony of how they once thought like you did and have now seen the light. Of course, there have always been de-conversion stories available throughout the history of the church—if one would only take the time to dig them up and listen to them. Christianity has never had a shortage of people who were once in the fold and then left, hoping to take with them as many people as possible. Of course, there are some evangelical groups that are like this. And it’s certainly possible Hatmaker is from one of these groups. The problem, however, is that Hatmaker’s language is a caricature of evangelicalism as a whole. This is why Hatmaker often describes herself as merely exploring or on a “journey”—it’s a way to disarm a postmodern world who wants there to be no answers (all the while she is happy to sneak her own dogmatic answers through the back door—more on that below). Regardless, the tone of the interview very much set Hatmaker up as an oppressed minority fighting against what she called “commercial Christianity.” She is merely the victim of a powerful and cruel evangelical world bent on revenge. Needless to say, some of this is difficult to swallow given the current cultural climate where LGBTQ-affirming people are embraced as heroes (including Hatmaker herself), and evangelicals are being fired, sued, and drug into court for simply believing marriage should be between a man and a woman. And if one wants to talk about “satire” and “outrage” and internet “hit pieces,” Hatmaker might do well to observe the outrageous level of vitriol displayed by the LGBQT community, and its advocates in the mainstream press, toward any Christian who shows the slightest hesitation about our culture’s new sexual direction. The PC police are always on the prowl, ready to prosecute evangelicals who don’t comply.